Folkteatern is one of our most forthright clients. Valentin&Byhr has helped them reinforce and sharpen their brand in order to broaden their target audience. In September 2015 we where asked to help them launch their autumn play “Revisorn” - a comedy which explores corruption and bribes. In order to reach parts of the target audience that aren’t familiar with Folkteatern we choose to ask them straightforward and relevant questions. We knew that they are concerned about bribes and corruption that they read about in the news, but how would they react if they themselves would get the opportunity? The campaign presents the theme subject in a clear way allowing the recipient to decide whether they are interested. The questions and expression puts the theme subject in a context that the audience can relate to. Folkteatern’s client base has grown since the campaign started. 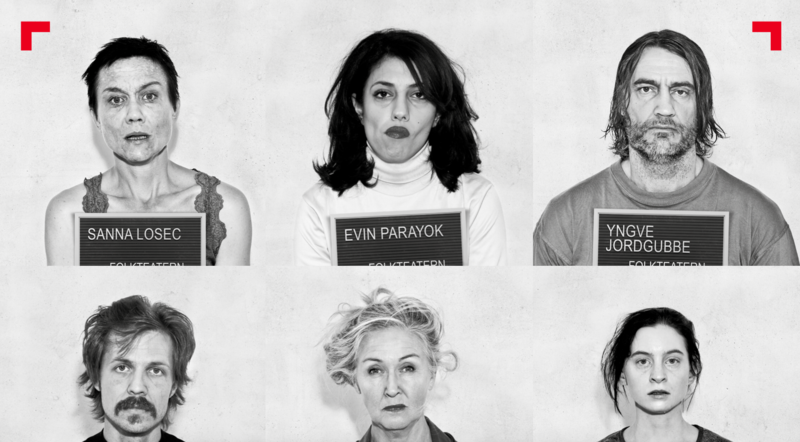 We decided to showcase all the actors and use Hugh Grant’s mugshot as a benchmark to secure the expression.